Sheridan has one of the largest and most advanced mobile computing programs in Canada, with over 9,000 students benefiting from the integration of laptop computers into their learning experience. 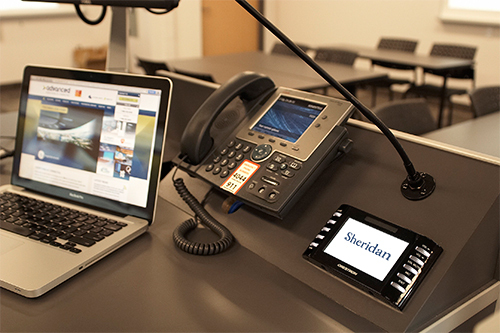 All students in a Mobile Computing program at Sheridan are required to own a laptop that complies with their program's hardware and software standards. For information about Mobile Computing fees, please see the Academic Fees page. Note that laptops may not be rented or purchased from Sheridan.